We all want to save money and build a comfortable financial cushion to plan for our future. Many of us have milestones we want to reach like buying a house, a car, paying off debt or going on vacation. 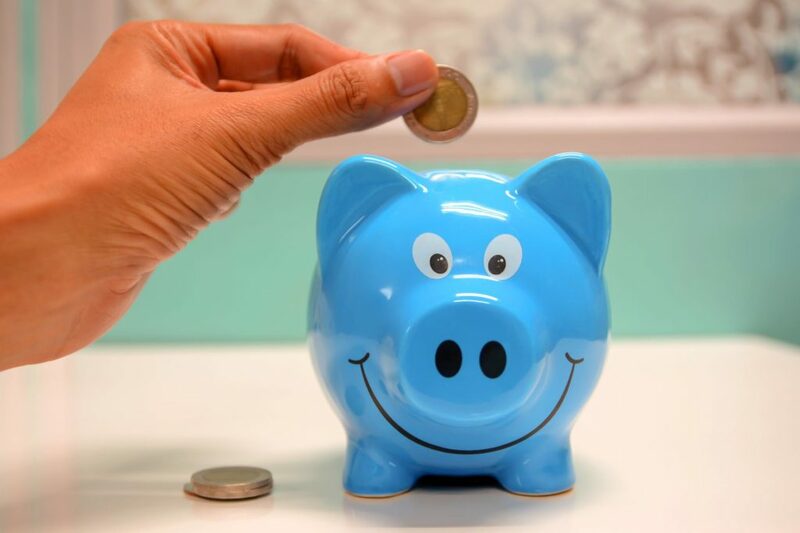 But although we may have good intentions, many of us don’t save money until much later in our lives because our current wants and needs seem much more important. The first step to start saving money is to tackle your bigger debts, specifically the high-interest ones from any loans or credit cards you have taken out. This is because the fees on the loans add up quickly and can take up a significant portion of your income. Also once your debts are paid off, saving money in other areas of your life becomes much easier. However, tackling the bigger debts can be intimidating so another effective way is to use the snowball method. This is when you start by paying off the small debts before you pay the larger ones. This method does not focus on the numbers in debt repayment but on behavior modification. When you pay the larger debts first, you will not see the numbers go down significantly and this can demotivate you. But paying off smaller debts is easier and you see the progress quickly which encourages you to stick it out until you’re debt free! When people budget out their expenses, they find many unnecessary leaks in their income. A major expense bracket is your grocery and entertainment bills. For groceries, a great way to save money is by planning out your meals each week and taking account of what you have and what you need to buy. This will stop you from overspending on food and reducing any wastage. Managing your grocery expenses also reduces the money spent on restaurant meals as you can eat more home-cooked meals. Brewing your own coffee at home is also very beneficial. 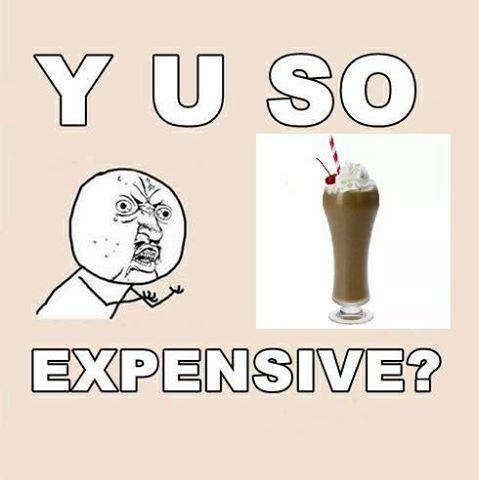 Studies show that the average American spends $2,600 on Starbucks coffee every year which is a considerable amount of money to spend on coffee! In addition to food and entertainment, there are many ways you can reduce your household expenses as well. A quick way is to have an eye on the thermostat in your home, lowering the temperature by 10 degrees Fahrenheit can reduce energy costs by 3-5%. Other ways to reduce energy costs includes taking shorter showers, washing your clothes in cold water or switching to LED bulbs that have a lower energy consumption. With OTT platforms such as Amazon Prime and Netflix, many people no longer find the need for cable television. Although your cable bill may not seem like much, it adds up over the course of the year. Cutting ties with cable and switching to streaming services can help you reduce your expenses in the long run. Another expense you can reduce is your phone bill. You can either opt for a family plan to lower your overall costs or minimize your data plan by using apps such as WhatsApp, Skype or Facetime to make phone calls. Saving enough money always comes down to a well-structured budget. If your goal is to save money aggressively, a good method to utilize is the zero-sum budget. The goal of this budget is to make your income minus the cash outflow equals zero. This is done by allocating every single dollar you make to a certain category. So for instance, you could allocate money to food, entertainment, bills, savings and paying off debt. A survey conducted showed that people were able to save 19% more of their income with this method. How Much Should You Save – 50/20/30 Rule! 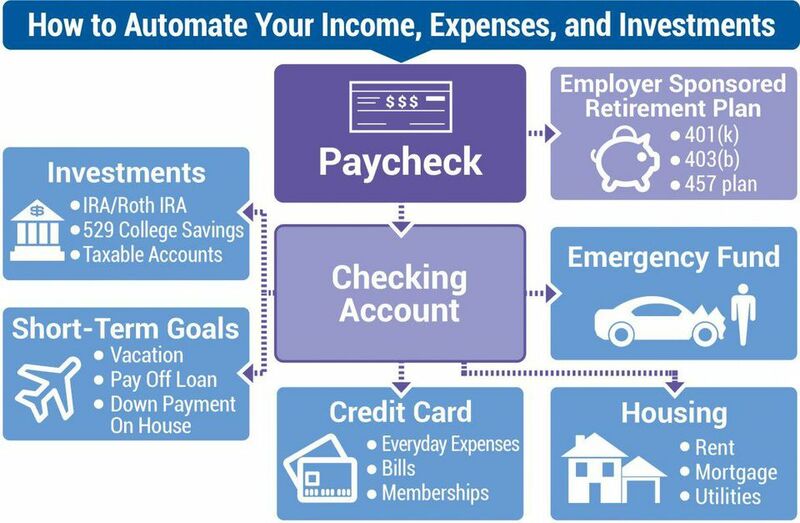 A fool-proof way to save money is to automate your savings. When you ensure that a portion of your income goes into a savings account, you will be living on less money without even realizing it. Creating a budget is easy but sticking to it is the challenging part. By automating your savings, you no longer have to worry about not meeting your budget goals. It is a good idea to have a separate checking and savings account or an emergency fund where the money from your income can be transferred every month. In addition to cutting your costs, another great way to save more money is to diversify your income. You can do this by getting a side-hustle. A side hustle is a part-time job or a passion project which provides an extra source of income. Many people do side-hustles as a hobby and use it as an outlet to express their creativity while earning an extra income. Very often, bloggers and Instagrammers turn their side-hustle into their full-time jobs if they find it to be a lucrative career. A few great side-hustle ideas include writing, coding or teaching a class. Also read: 11 Best Passive Ways to Make Money While You Sleep. A staycation is an inexpensive alternative to an actual vacation and can be just as fun! While it is a trendy term used in social media, the reasoning behind it is pretty rational. If you are looking to have fun while saving some money, you can find some fun activities to do in the area you live in instead of dropping money on expensive airline tickets. A staycation includes everything you would do on an actual vacation like taking time off work to relax and unwind and spending time with family and friends. Saving money can be intimidating at first but with a little perseverance and discipline, it can become a life habit. Each person has different goals when it comes to saving and it is up to you to decide where you can cut costs to make the most of your income. While saving is important don’t forget to indulge in experiences once in a while because at the end of the day it is the experiences that you will remember not the materialistic comforts.